Welcome to the second post in the “Homeschooling Questions” series here at My Blessed Mess! If you haven’t already read the first post you can find it HERE. After 14 years of home educating I have found that I am asked the same kinds of questions over and over again. What better way to address these “frequently asked questions” than in a post? Better yet – a series of posts I can add to over time. For this post, we will address five more questions I am often asked, let’s get going! Set aside special toys and activities for your baby/toddler that only come out during school time. Recruit an older child to play with the baby/toddler while you work with another one-on-one. Plan some time on dad’s days off to complete things you may not have had time for through the week. Invest in color wonder markers and paper for older toddlers so they can “do school” too! See if grandma or another family member/friend can come over a day or two a week for a couple hours to care for your little one(s) while you work with older children. I’m not going to sugarcoat it, schooling with little ones in tow has been one of my biggest challenges as a momma. As with anything, allow yourself, and your tiny tots, some grace during these seasons of family life! How does your child earn a diploma? This is an answer that varies depending on what the homeschooling laws are in your state (visit the HSLDA website for information pertaining to your state). Where we live (Indiana), homeschools are recognized as private schools and can issue their own diplomas to graduating students. Just like a student graduating from a private school, the student will have a unaccredited diploma. Colleges will place a higher emphasis on a students transcript than who issued their diploma. So it’s super important to research homeschool transcript creation and to keep detailed records for every activity or course your child completes that is eligible for high school or college credit. In addition to formal transcripts, I recommend preparing and keeping on record a course of study or syllabus for each class taken. This will not only aid you in putting transcripts together, but will “back up” any credits on said transcript in case they are requested. Will colleges accept a homeschool diploma? 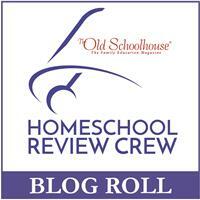 The military has also made huge strides in allowing homeschool graduates To enlist and serve. I am thrilled that my kids can have all the same opportunities for education, service, and employment as other kids! How do you teach multiple grades at once? While some subjects have to be taught individually at each child’s level, you can combine lessons and adapt them for multiple ages for most content-related subjects. Science, history, art, music, writing – all of these can be taught to various ages at once. Homeschool and educational publishing companies are realizing that multi-age curriculums are in high demand from families. Some of our favorite programs have been the ones that we get to enjoy together as a family. History especially lends itself well to this method and there are a TON of multi-age curriculums available to achieve this end. This is another question that doesn’t have one definitive answer because of the variation in requirements from state to state. However, I can offer a general list of steps to take, as well as some recommended resources to help you along the way. First and foremost, check the homeschool laws and requirements in your state. The HSLDA website is a great place to start. Make sure you understand what the laws and requirements mean for you and your student. If you have any questions, the HSLDA also has homeschool support groups listed by state. Get in touch with one and they will be happy to help you with any questions you might have. Is your child currently enrolled in a public school program? If so your next step should be to make sure you know the proper steps to take to unenroll your child. Most states simply require a written statement by the parent to the school. Some states also require you to file a letter of intent to homeschool or similar form to the department of education. Again, your states homeschool support group will have this information and will be happy to help you. Research homeschooling methods and philosopies. Here are a few links to get you started: Charlotte Mason , Classical education , Unschooling , The Ultimate Guide to Homeschool Methods Choose a methodology that you think would be enjoyable for both you and your child. Don’t be afraid to pick and choose components of different methodologies! This is called “Eclectic Homeschooling” and it’s what works best for my family. You get to choose those things that work for you and leave the rest! Begin researching curriculum options. Try to find a program that coincides best with the principles of the methodology(s) you’ve chosen. This is tough for a beginning homeschool parent because it can be a process of trial and error. I would recommend attending a local convention or curriculum sale so that you can physically look through materials. If this isn’t possible, many publishers offer sample pages online you can view and try out. Connect with other local homeschool families if possible. Having a support system of like-minded families you can go to with questions or problems is an invaluable resource! This is also a great way to learn about curriculum options from those who have used it. Just remember, what works for one family or student may not work as well for yours. Choose a curriculum/program and get started! Just remember, you are educating at home, NOT doing public school at home. The two can (and honestly should) look very different – in theory and in practice! Don’t be afraid to throw out a method or book that just isn’t working or that results in frustration for you or your child! Remember, it is quite common and normal for a child to be at different levels in different subject areas. This is the beauty of home education! You can tailor your child’s learning experiences to their learning style and ability. I hope I didn’t lose you! This series of five Questions and Answers ended up being quite lengthy. Stay tuned next month for Volume 3 of “Homeschooling Questions I am Always Asked”. You’ve given us a lot of helpful information here, Cassandra! It’s helpful to many having all these answers in one place. So many questions about homeschooling high school with a special needs kiddo! This is great information and all in one place. Thanks for sharing a wonderful post.